There are so many variables that go beyond budget, and personal taste—size, colour, mood, imagery—that all come into play. Once you’ve established what you like and how much you’d like to spend, what’s next? What are the do’s and don’ts? We have a few tips to help you select the perfect pieces for your home. Okay, yes we talk about personal taste, but sometimes less is more. Consider how a busy scene would compliment (or detract from) your decor. A few suggestions: abstracts, nature, landscapes, geometric shapes, still lifes, or silhouettes/figurative renderings of people. Make sure the art you choose suits the wall it’s hanging on and other furniture around it. Selecting the right size or scale, is also vital. 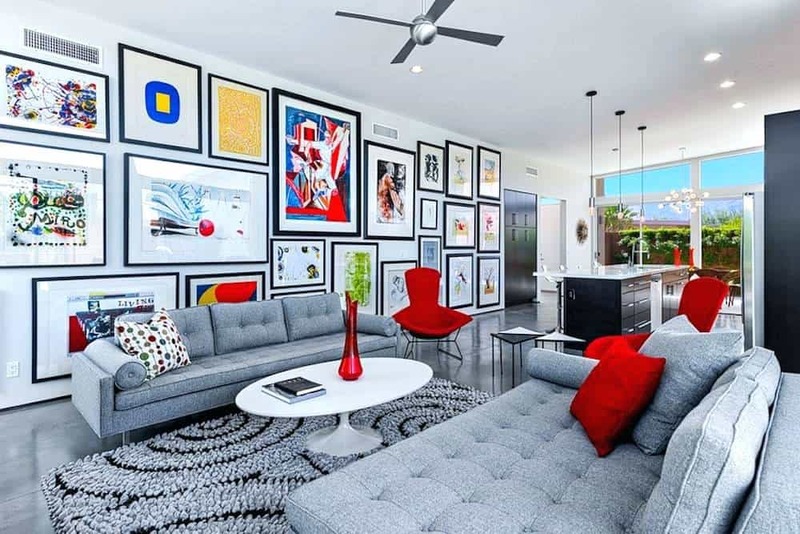 The scale of your artwork should be proportional to the height and width of your wall. You wouldn’t want to hang a very small framed picture on a large, empty wall. Alternately, if you are hanging art on a wall that’s smaller, then you might consider hanging a modestly sized framed picture. 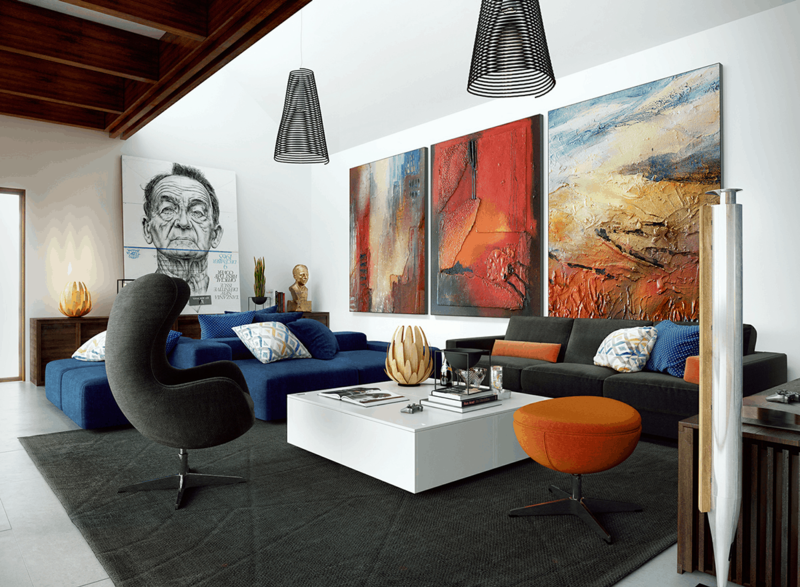 Make sure your walls are balanced with artwork and furniture so that one side doesn’t appear “heavier” than the other. 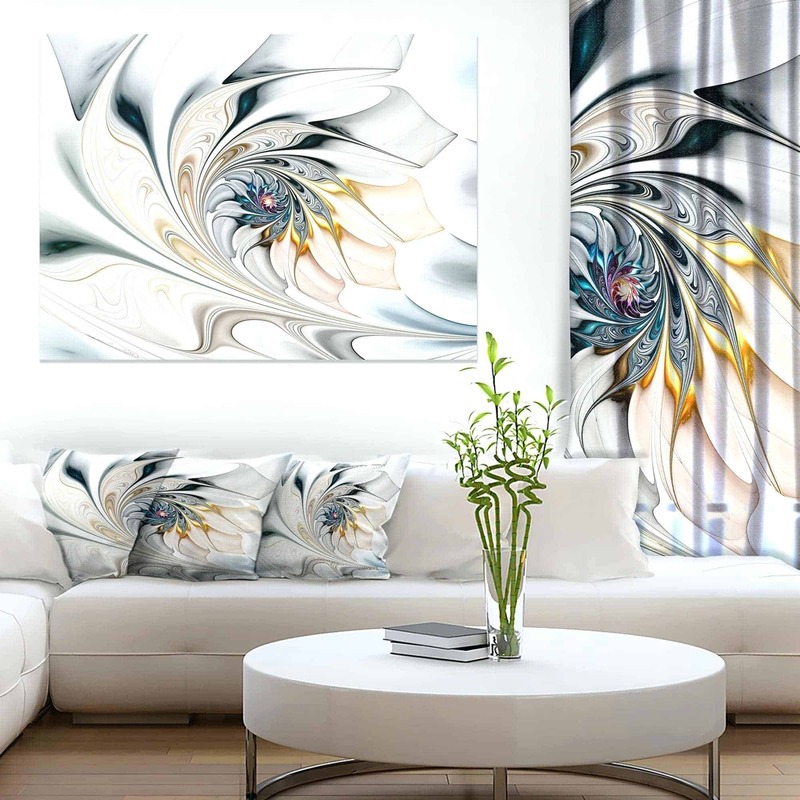 Use artwork to bring in pops of colour if the space needs it; just be sure that the hues in your home’s artwork coordinate well with your current punches of colour that are found in your pillows and accessories. If you have enough colourful accents already, opt for something in a complimentary neutral. A gallery wall is also a great idea if you’ve got a large wall or area to cover. Instead of one large piece, you can create a gallery wall using a variety of smaller pictures for the same effect. The wrong frame can change the entire look and feel of a piece—for better or worse. Size is an important factor here as well. 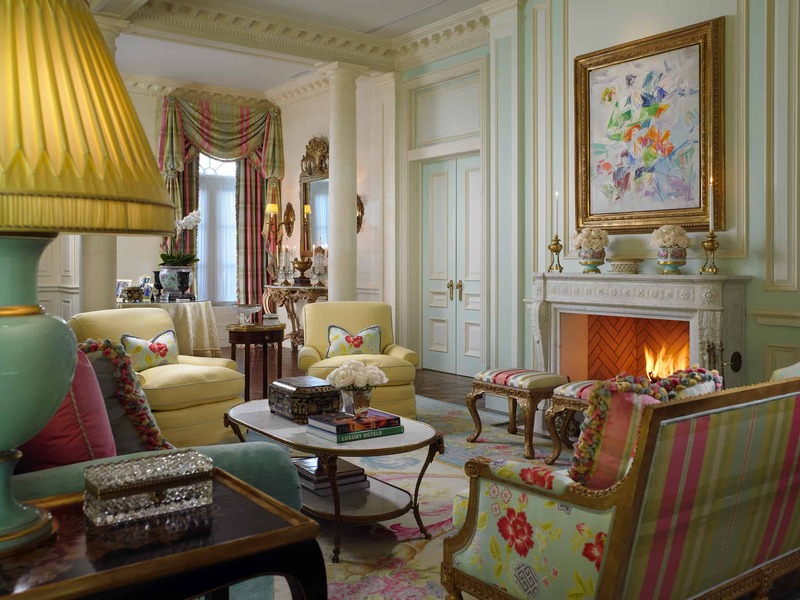 The frame should balance the art and suit the space, and the colour and style matter as well. If you have contemporary décor, you’ll want to choose streamlined frames. A more ornate frame could be the perfect choice for a similarly “fancy” piece. Just make sure whatever frame you choose doesn’t detract from the artwork itself. 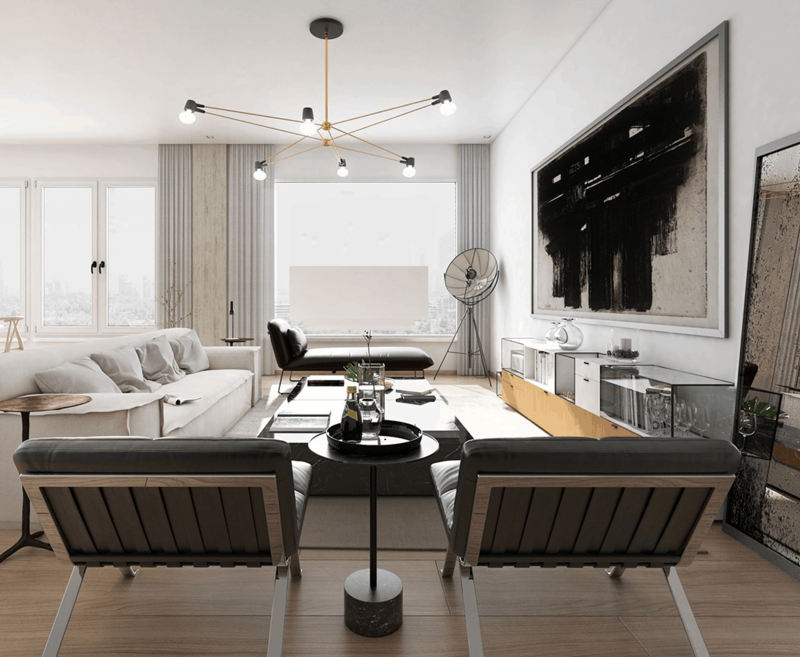 For advice on everything from interior decor and staging, to selling, buying or finding investment property, The Merenda Real Estate Group has you covered. With our 20+ years of industry knowledge, and a client-forward approach, we’ll get you the results you want and the experience you deserve. Contact us today or call 416. 240. SOLD (7653).